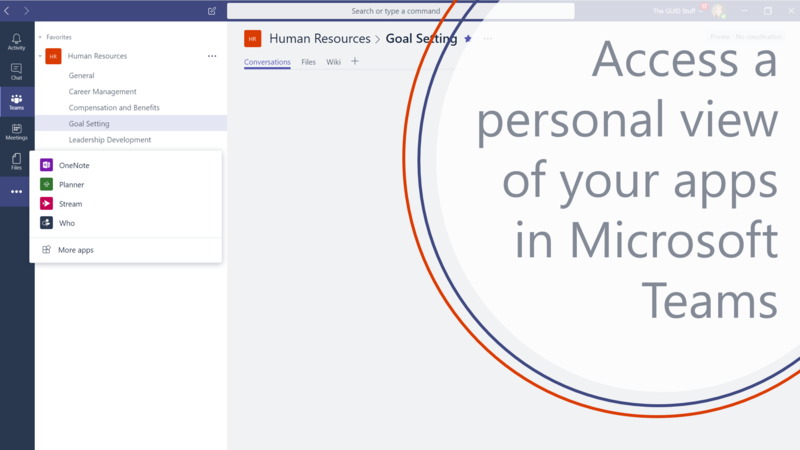 #Microsoft365 #Office365 #MSTeams On the 29th of January, the Personal view of your apps was launched for Microsoft Teams. 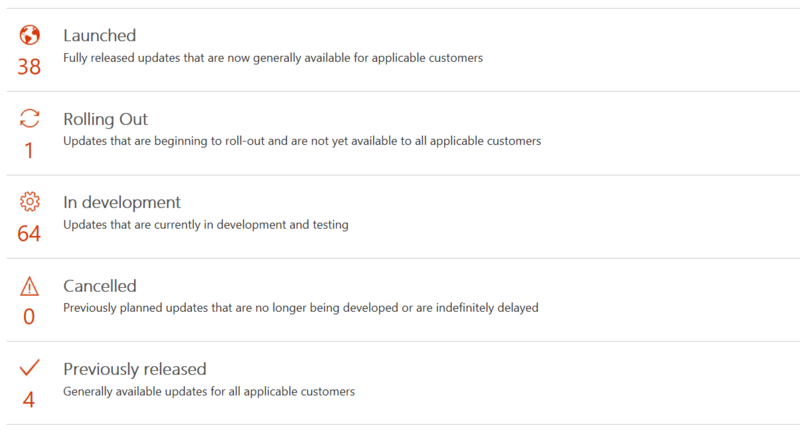 I was super excited to see it appear in my MS Teams App a day later. Woooohooooo!! Lets take a look at what this new feature offers. Roadmap can be found here. In Microsoft Teams you’ll now notice the ellipses (…) below the Files icon on the left. This will open OneNote, Planner, Stream and allow you to add Who as well as other apps. 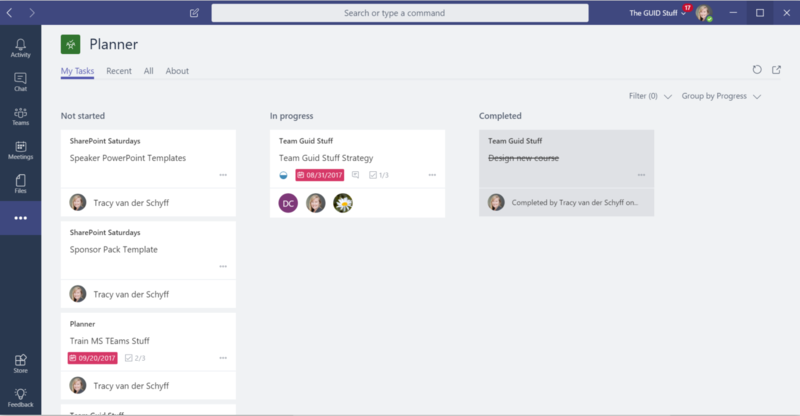 What’s happening here is that Microsoft is bringing all the resources and tools together for you to be more efficient, right here in Teams. Pretty awesome right?! This new addition allows for us to add other apps we use based on our user – so not filtered by your team. Now you don’t have to leave MS Teams to work in your other favourite apps. Now as mentioned, click on the ellipses below Files and you’ll see OneNote, Planner, Stream, Who and More Apps. Personal: Shows all my Notebook locations, choose a notebook and allows me to open the difference sections/pages and make changes. Recent: Shows all OneNotes you’ve worked with, recently. Teams: Displays the OneNote notebooks from your various Teams. All: Displays all the plans you are ‘part’ of. My Watchlist: Shows videos you’ve added to your watchlist on Stream, as well as Recent and All videos. This opens the store which you’ll also find as a button lower down on the left, above feedback (you’ll notice that your profile pick and settings have now moved to the top right of the app). 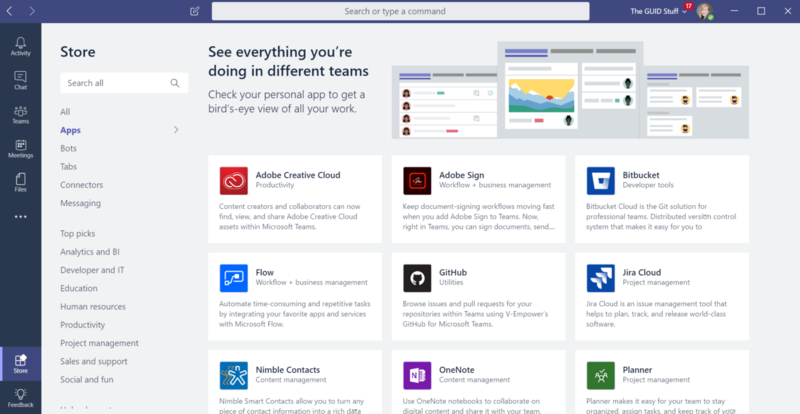 Microsoft Teams – you’re so hot right now!